Dollhouse Miniature The Vampire Slayer - Vampire Hunting Tools and Weapons Collection - 1:12 Dollhouse Miniature - The Petite Provisions Co.
I’ve been a fan of all things supernatural for as long as I can remember. 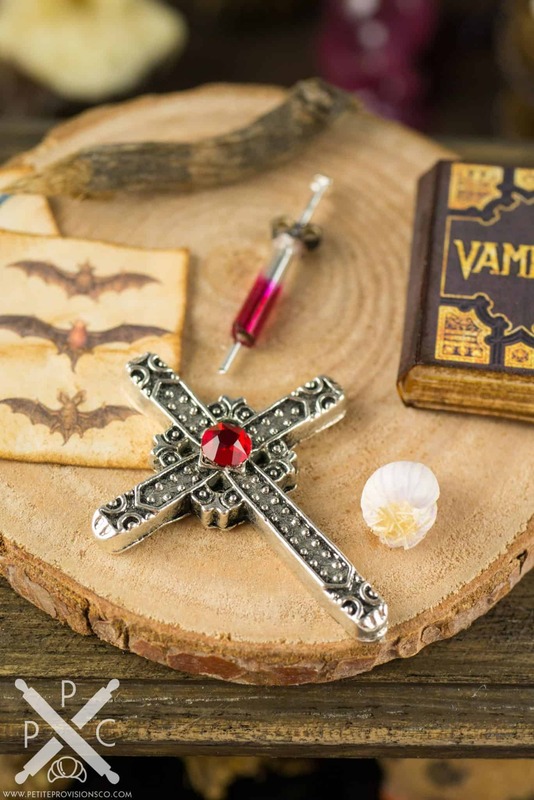 A devoted fan of TV shows like Buffy the Vampire Slayer, True Blood and Supernatural and books like ‘Salem’s Lot and Charlaine Harris’ Southern Vampire Mysteries series, I’ve always been charmed and fascinated by the mysteries of monsters like vampires! 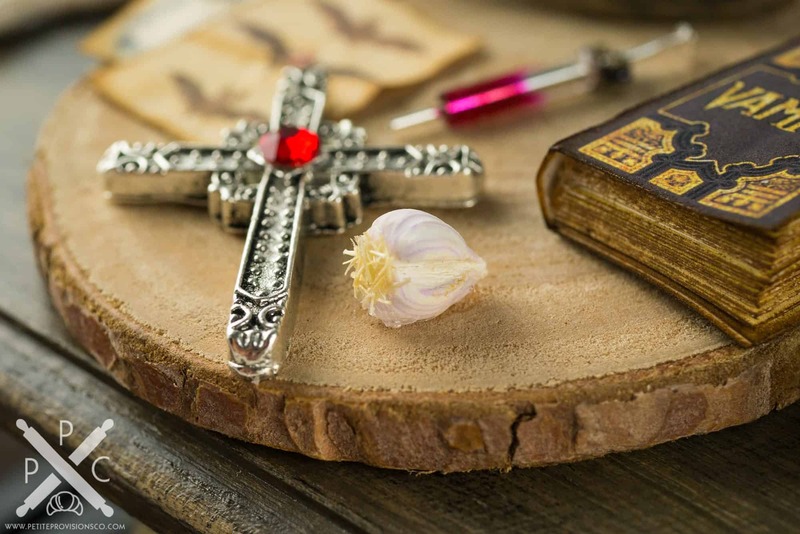 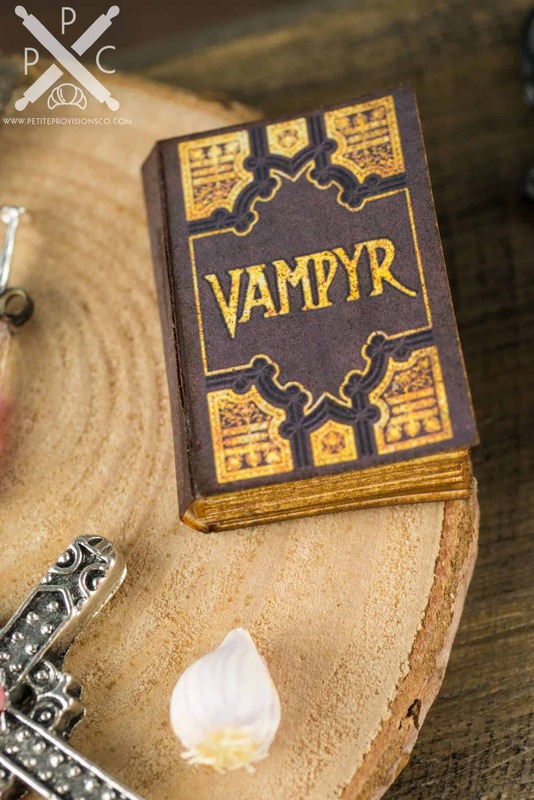 This charming miniature collection of tools and weapons is called The Vampire Slayer, and it’s inspired by various vampire lore and mythologies! 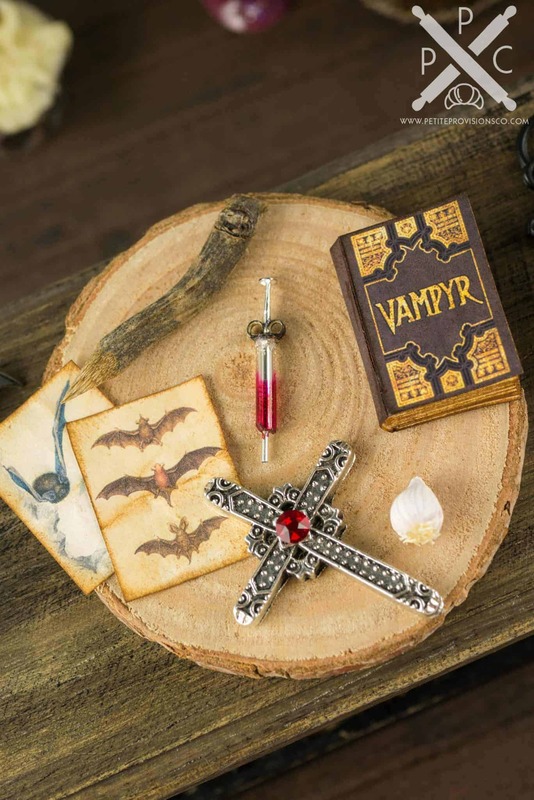 This collection includes the tools any hunter needs to slay a vampire: a book on vampires, a syringe filled with Dead Man’s Blood, a silver cross, garlic, a wooden stake and some diagrams of vampire bats! 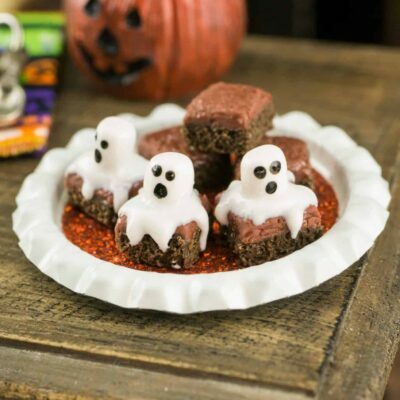 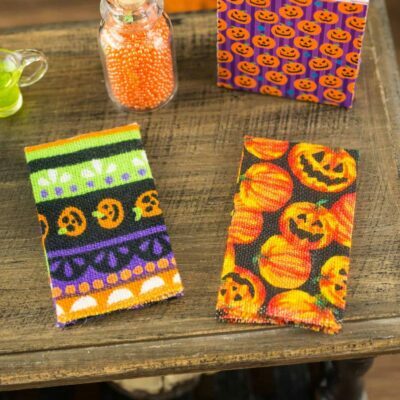 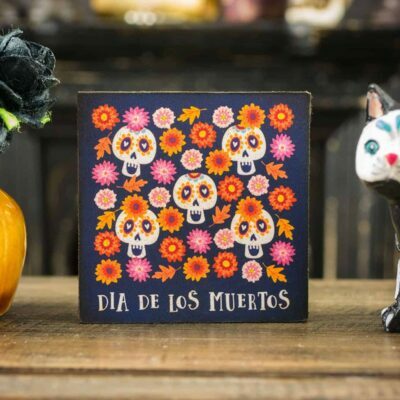 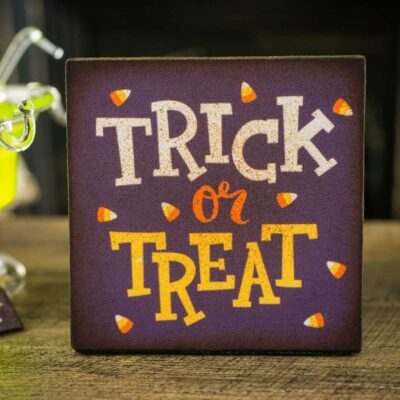 Whether you have a dollhouse or just love all things tiny, this wee decoration is too cute to resist and absolutely perfect for your mini Halloween or fantasy scene! 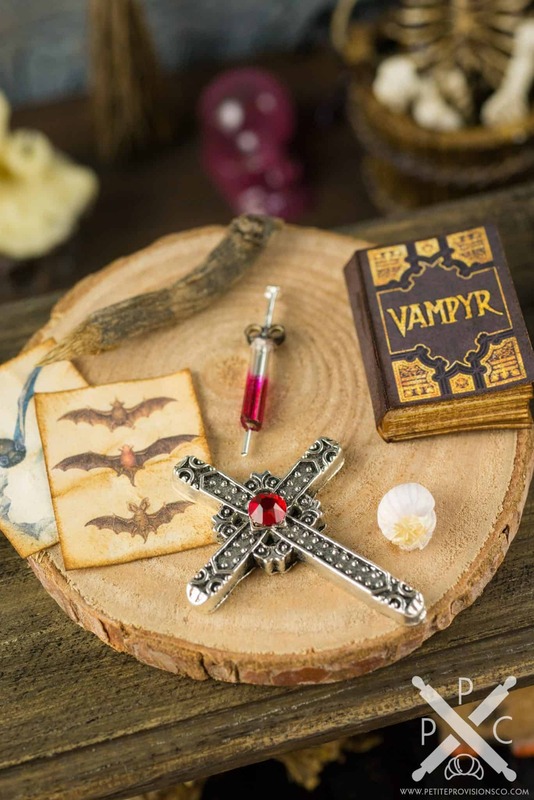 The Vampire Hunter is displayed on a real wooden slab. 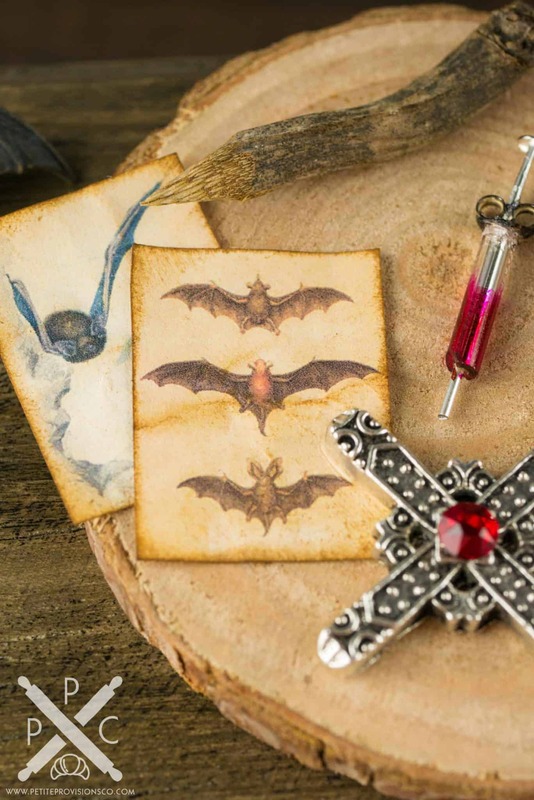 The tools and weapons include a hand-whittled stake made of actual wood, 2 vintage and distressed illustrations of bats, a handmade Vampyr book, a silver cross, a bulb of garlic, and a handmade syringe filled with Dead Man’s Blood.